Noticed strange tiny organisms crawling your scalp day and night? Don’t panic. According to Clinical Advisor, the estimated number of head lice cases in the United States per year ranges from 6-12 million with the prevalence of 3.4% to 35%. So you are in great company. The head louse, also known as Pediculushumanus capitis, is a parasite that feeds on human blood. It attaches to the scalp where food is in abundance. Lice eggs, also known as nits, can easily be mistaken for dandruff or residue from hair styling products. Once they hatch, they are known as nymphs which are basically immature forms of lice that are grayish tan in color. After about 12 days, the nymphs mature into adults measuring approximately 2-3mm. Head lice are spread through personal contact after which they can crawl to your clothing, hats, hair brushes and other personal belongings. They multiply so fast and can be downright irritating and frustrating. Luckily, there are tons of remedies for getting rid of head lice permanently. The good news is that you don’t need to visit head lice salons as the products are readily available at home. Olive oil is one of the head lice solutions that are safe and effective. As a smothering agent, it suffocates lice to death by blocking their breathing holes. To get the best results, apply olive oil overnight and under a cap. Lice can’t survive for hours without breathing. Spinosad is a prescription lotion commonly referred to as Natroba. It is a natural insecticide derived from soil bacterial and one that has since been approved for use for patients over 4 years of age. To use Spinosad, coat the scalp and rub the liquid through the hair from roots to end. Leave it on for 10 minutes, rinse your hair then comb for nits. This is a traditional way of getting rid of lice that involves spraying conditioner on wet strands of hair then using a fine-toothed comb or a magnifying glad to distinguish lice from hair strands after which they can be easily removed. Essential oils have a place as head lice solutions according to a head lice salon. When combined with combing, the results can be optimal. Some of the oils used include tea tree oil, aniseed oil, lavender oil, clove oil, eucalyptus oil, and red thyme oil. Mix olive oil with the essential oils, apply on the scalp using cotton balls, leave it overnight, rinse and comb. The next time you or your child develops head lice, you know what to do. If you cannot get your hands on Spinosad, your pantry will step in and save the day. Better still, you can go old-fashioned and use the wet-combing method to remove the lice. 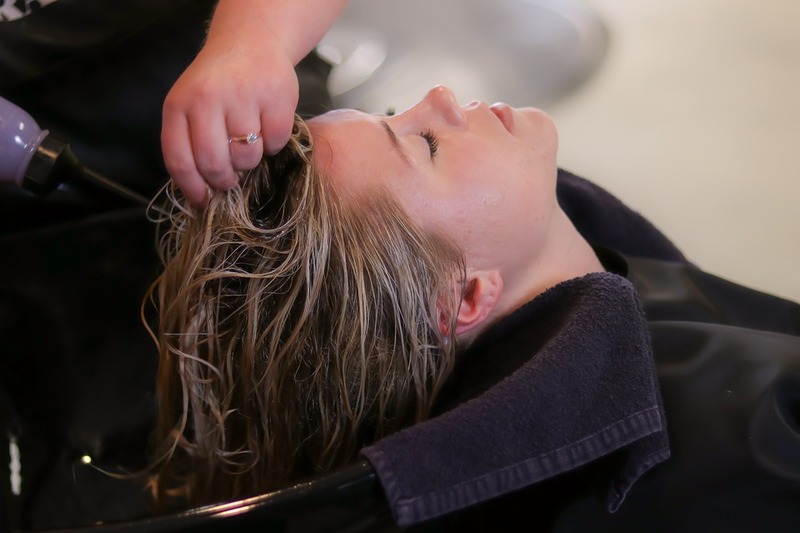 The head lice removal industry is currently booming in business. This is mainly because head lice seem to increase resistance to traditional OTC products. Parents are left with the burden of seeking ways out when their children come home multiple times with head lice they contacted at school. If you are concerned about a lice problem that has recently invaded your family, then there are various steps you can take to remedy the situation. Combing out lice from your child’s head can be time consuming and fruitless when done improperly. The truth is, unless you’ve had plenty of experience removing lice, it would be better to have a professional help you. There are many different head lice removal services you can take advantage of and have head lice removed the right way. These salons operate the same way as traditional salons, only that the professionals here don’t cut your hair or do your make up. They are dedicated experts that specialize in head lice removal. All you need to do is schedule an appointment with one establishment and have your child or adults examined for head lice. If you don’t have access to a salon, then you can always turn to home services. There are various head lice removal services that will send professionals over to your home to help you get rid of lice. These professionals come to you equipped with all kinds of tools and products that will quickly and effectively get rid of lice in your home. When is the Right Time to Contact a Head Lice Professionals? It is always recommended that you have a professional look into such problems, especially when it is your first time dealing with head lice. If you’ve used OTC treatment multiple times without positive or lasting results, then it is time you contacted a professional. You may also be allergic to over the counter products and therefore unable to treat head lice on your own. It is also important to note that most OTC products contain pesticides and chemicals that might harm both your health and the environment. Head lice removal services vary from one professional to the next. Different techniques and products are used by professionals to kill head lice and also inhibit hatching of eggs. Consider getting recommendations from school nurses and people that have had to hire such a professional in the past. Be sure to learn more about a service provider before choosing their services. The internet can help you find a professional easily if you do a simple keyword search. If you notice symptoms of head lice, it is advised that you act early. It will be less costly and easier to get rid of lice before they spread. According to Centers for Disease Control and Prevention, it’s estimated that 6-12 million Americans get infested by head lice yearly. Sadly, a majority of them are children aged 3-11. Since the head lice move only by crawling, they can only spread via contact method. The parasites will need to crawl from one physical body to another to attack. Most people get the parasite from the people close to them, maybe friends, colleagues or family members. So, the commonest mode of transmission is head-to-head (also known as hair-to-hair). Nevertheless, though rare, the parasite is also spread through sharing of personal clothing. There are also minor cases where people get attacked by lice from furniture pieces and carpet. It’s important to note that the head louse cannot survive more than 2 days outside the human body. They are dependent on the human head for feeding and shelter. When the parasite falls off the human body, they become inactive since they cannot feed. If they are not provided with the conditions similar to what they enjoy in the human head, they eventually die. This is why cases of transmission through clothing, furniture, and carpet are rare. The control process for the lice can be looked at from two different angles. One, you can control the spread of the head lice from an infested subject using preventive approaches. Two, in case you or your belongings are attacked by the parasites, you can control them by treatment approaches. • When you are involved in any kind of contact with an attacked subject, perhaps when playing, avoid head-to-head contact. • Learn to disinfect sharable hairbrushes and combs before using them. If possible, avoid sharing. • Avoid sharing personal head clothing such as hats, hair ribbon, and scarves. • Avoid lying on a bed, sofa, or carpet that was recently infested by head lice. • Clothing, furniture covers, and bed linens of an attacked individual should be washed by machine using hot water and disinfectant. They should be allowed to dry completely before using them. • The furniture, carpet, and floor of an infested house need to be vacuumed thoroughly to get rid of the parasites. This should be done by qualified cleaning firms or head lice professionals as soon as the infestation is reported since the head lice cannot survive outside the human body for long. • CDC recommends the use of lice control medications such as Malathion and benzyl alcohol. The prescriptions come in lotion forms, and they are supposed to be applied on the attacked part. The only restriction is children under 6 months and pregnant or breastfeeding mothers. • There are also home remedies that you can use such as olive oil, butter, tea tree oil, and mayonnaise. The products are applied directly to the head. The human lice are parasites that are easily prevented and eliminated. You just need to identify the head lice control method that suits you and adopt it. After you have applied a treatment application, it’s important to remove the dead parasite using a fine comb. This ensures that the pests are totally eliminated.